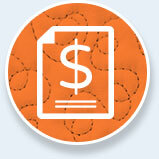 Purchasing a longarm quilting machine is a big investment. That’s why we’re always trying to help potential customers get all the information they need to make an informed purchase and feel good about it! Test-drive every machine that you can. The most common piece of advice that we received was to go out and try as many quilting machines as possible. You can read all you want about a machine’s specs and reviews, but there’s simply nothing that compares to actually giving it a try yourself. 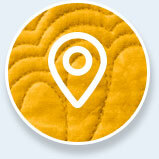 The best opportunities are tradeshows, local quilt shops or APQS Road Shows. Measure the area where you will position your machine. Measure the space where you want to put your new longarm machine – then measure it again! 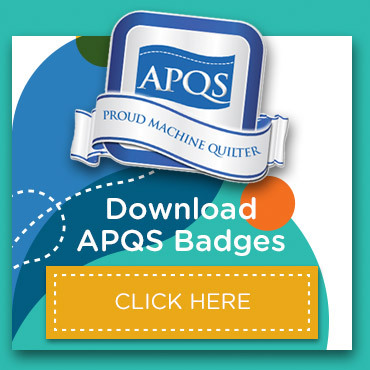 Many APQS fans suggested that this is an important task can be overlooked in the mist of the excitement of buying a quilting machine. There’s nothing worse than going through all the work of getting the machine to your house and not having a place to put it. For comfortable working space, plan on eight feet “front to back.” Add two feet to the length of the table you’re considering so you have room to move from the pantograph side to the needle side easily. The thought of finally having that longarm machine all to yourself can be very exciting. Don’t let that feeling keep you from doing your due diligence. These are LONG-TERM investments and you never want to make that big of a decision on a whim. Buy from a company that will be there for you after the sale. Choose a manufacturer that will be with you for the long haul. Make sure you understand the kind of support you will receive after the purchase. Does your machine come with a warranty? Who fulfills the warranty? What are the costs of new parts if something were to break? Who will fix your machine if you are having a mechanical problem? These are all questions you should find an answer to before you make your purchase. New APQS longarm quilting machines are fully warranted to the original owner against defects in materials and workmanship for the lifetime of the product. If a machine ever fails due to a manufacturing defect, even after extended use, APQS will repair the machine, without charge, or replace it, at our discretion. Take lessons before you buy… then continue to take lessons. Just purchasing a high-caliber machine won’t make you a pro. 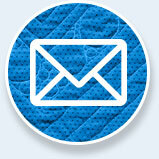 We received many recommendations to take lessons with someone with vast experience using longarm quilting machines. Even after your purchase, taking classes or lessons is a great way to ensure you get the most out of your machine. Longarm wannabes are welcome to attend an APQS beginner class to learn what it’s all about. If you decide an APQS machine is right for you, the class tuition can be credited directly toward your machine purchase. Look at reviews online (the good and the bad). Don’t take everything you see on a company’s website or tradeshow at face value. Dig a little deeper to find online reviews from customers just like you. What is the company’s reputation for customer service? A company with quality products – like APQS – should be able to address any concerns that you have. 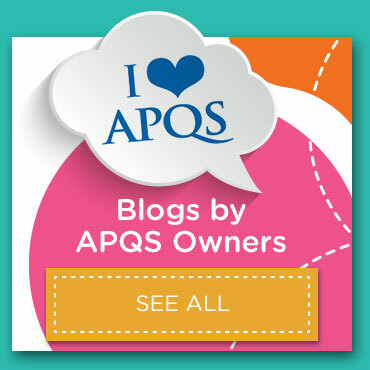 Those were the best tips that we received from our APQS community on Facebook. Use them as a checklist when you are making your purchasing decision. And don’t hesitate to reach out to us if you have additional questions. We’re only a phone call away – 800.426.7233. We’ll leave you with just one more tip for your process. Have fun! Don’t let the stress of searching for the right machine cloud the fact you’re making a purchase that will bring happiness to your life. It's nearly time to close the door on 2012, and put all of the regrets about what didn't get done aside. With literally thousands of pantograph designs available today, you can quilt anything from a simple swirling pattern to an elaborate cityscape scene across your quilt.